​"Rather endearing [with] surprising emotional payoffs...Renaud and his collaborators may well have a fringe holiday repeat hit to call home for the holidays." "Ridiculous, open-hearted, trashy and touching." "With the Holidays upon us, this show is the magic we crave: unrestrained, funny, and very, very gay. " "The songs will have you rolling in the aisles." After Santa Claus makes an untimely exit, his wicked son begins a not-so-jolly reign as the new head of Christmas. The North Pole begins to crumble under his tyrannical rule, and Barney the Elf is forced to leave his home. Soon he embarks on a fabulous journey of self-discovery (or is it elf-discovery?) that lands him in one of Chicago's hottest drag bars. But can he truly leave Christmas behind for a new life in the big city? 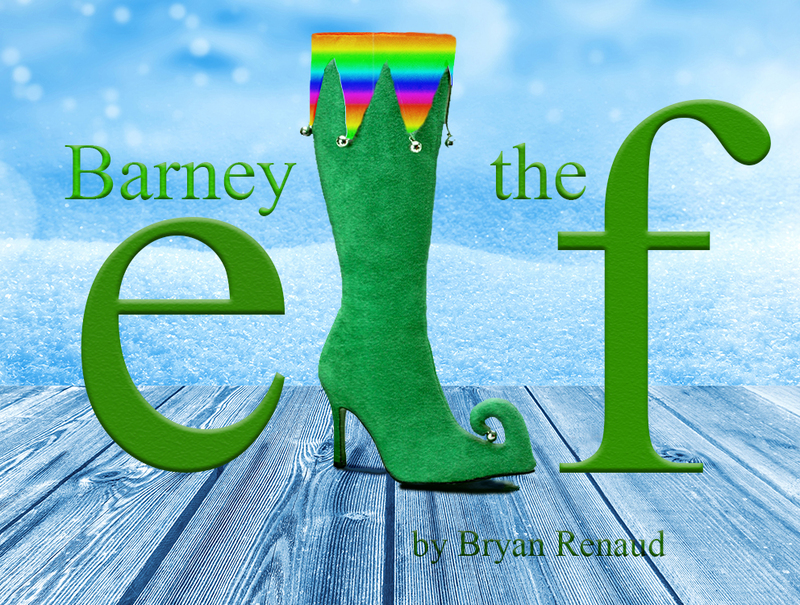 Barney the Elf brings musical numbers galore and plenty of queer holiday cheer to Chicago in this new Christmas classic. Contains profanity and sexual situations - think PG-13. Looking for a script or licensing information? Please contact me.